In evolution, most genes survive and spread within populations because they increase the ability of their hosts (or their close relatives) to survive and reproduce. But some genes spread in spite of being harmful to the host organism—by distorting their own transmission to the next generation, or by changing how the host behaves toward relatives. As a consequence, different genes in a single organism can have diametrically opposed interests and adaptations. 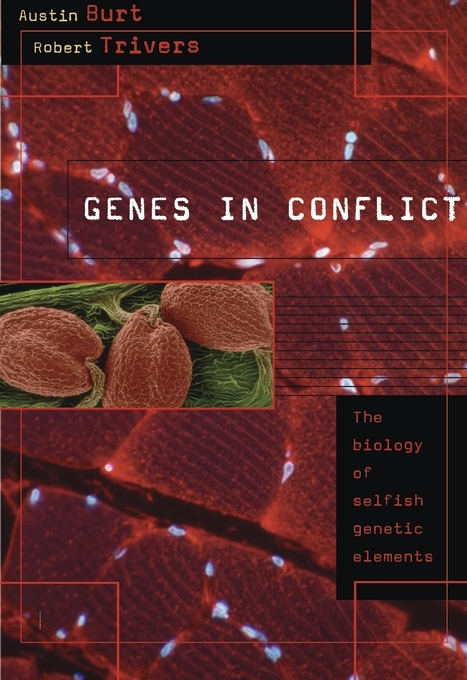 Covering all species from yeast to humans, Genes in Conflict is the first book to tell the story of selfish genetic elements, those continually appearing stretches of DNA that act narrowly to advance their own replication at the expense of the larger organism. As Austin Burt and Robert Trivers show, these selfish genes are a universal feature of life with pervasive effects, including numerous counter-adaptations. Their spread has created a whole world of socio-genetic interactions within individuals, usually completely hidden from sight. 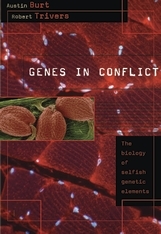 Genes in Conflict introduces the subject of selfish genetic elements in all its aspects, from molecular and genetic to behavioral and evolutionary. Burt and Trivers give us access for the first time to a crucial area of research—now developing at an explosive rate—that is cohering as a unitary whole, with its own logic and interconnected questions, a subject certain to be of enduring importance to our understanding of genetics and evolution.